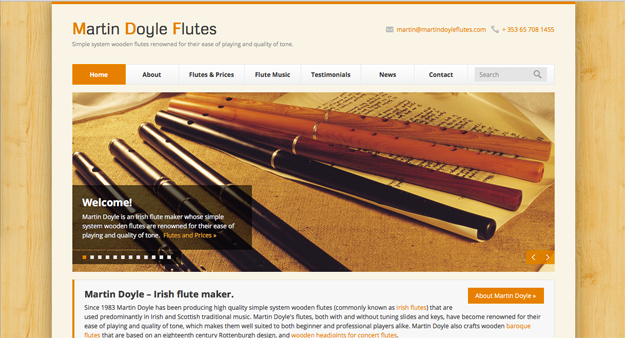 Martin Doyle Flutes recently received two testimonial comments from customers and his website has had a facelift in the form of a resposive template. Now, after trying your flute, I’m pretty speechless – it’s a whole new experience of playing. I did read the testimonials on your website before ordering. Everybody was talking about the ‘ease of playing’ your flutes and I couldn’t really believe that the experience with a Martin Doyle flute would be so much of a difference compared to other flutes. But now I totally understand what they meant. I can not believe that playing the Irish flute could be that easy. All notes are perfect in tune, there’s really no effort to produce a great sound, even with very little air. Martin Doyle’s website has also just received a rebuild using a responsive HTML template called Finesse. Modifications have also made to how the information and pricing for all models and aspects of Martin Doyle’s flutes are displayed. The new Flutes and Prices section is where most of these changes have occurred and we hope that they enhance the visitor experience to Martin Doyle Flutes. 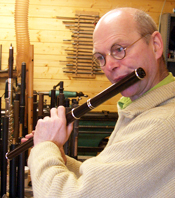 This entry was posted in Flute Players, Martin Doyle Flutes, Testimonials, Updates, Website and tagged Flute, Irish, kind, Mike Kenneally, players, responsive, Stefan Thamm, template, testimonials, website, words on 16th March 2015 by Admin.